In this case study, Deputy Head of School Support, Vanessa Exton explains how much easier recruiting candidates with specific skills is with the help of ESP. As an award winning school support service, 3BM needs to recruit the highest-quality candidates as efficiently as possible and this is where ESP helps. 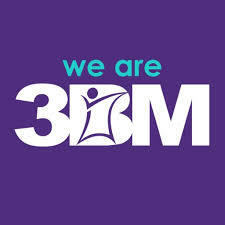 3BM was formed four years ago, with around 40 staff from three local authorities: The London Borough of Hammersmith and Fulham; The Royal Borough of Kensington and Chelsea; and The City of Westminster. It was the first mutual joint venture to spin out of local government, with their partner, Prospects. In November 2014, 3BM was awarded the Highly Commended Public Service Mutual of the Year at the annual Employee Owners Association, Baxendale awards. An award endorsed by the Cabinet Office and testament to the company’s ethos and service delivery. Now employing over 100 people over several divisions, 3BM has many strings to its bow, including, Spaces – covering areas such as asset management, architecture, project management, and procurement, Studio – covering marketing, Education – covering professional teaching advice around primary computing including a scheme of work and safeguarding advice, and School Support. Employing over 40 people, the School Support division provides high quality services covering MIS, finances, and technical ICT network support. The support across the division is delivered through helpdesk, remote support, on-site visits, training and consultancy. Deputy Head of School Support, Vanessa Exton explains, “As an organisation, we offer very specialised support and training to schools and need people with specific skills to deliver this. Managing our own recruitment into these roles can be complicated, time consuming and expensive. An example is recruiting people with the level of SIMS experience we need, which is particularly difficult. “We work with ESP to recruit temporary and permanent staff into the division. They offer a straightforward and professional service. “Will Townsend works closely with us and takes the time to really understand the business and each role we are recruiting for. From this, he draws up a shortlist of candidates for us to interview. “ESP helps us to find the best candidate for each role, we have worked with other agencies, but they could not find us the quality of candidate that ESP provides. “Managing our recruitment through ESP is so much easier and more cost-effective than managing it ourselves. They are experts in their field, offer a professional service and always find us top-quality candidates.